Two scientists at Lawrence Livermore National Laboratory have devised a new tool to detect and measure large explosions based on their distant vibrations. The new technique could help people who are responding to industrial accidents or investigating terrorist actions. A better idea of an explosion's nature and power can guide rescue efforts and help assign the correct cause. "Forensic seismologists" Michael Pasyanos and Sean Ford published their technique last month in the journal Geophysical Research Letters. They calibrated their method using military tests at White Sands in New Mexico, then successfully tested it on a deadly explosion in the Syrian civil war. Explosions have been an important topic in seismology since the Cold War, when governments needed to distinguish nuclear bomb tests from natural earthquakes. Advances starting in the 1960s enabled worldwide networks of seismometers not just to identify these underground explosions, but to gauge their size and detect any attempts to muffle them. 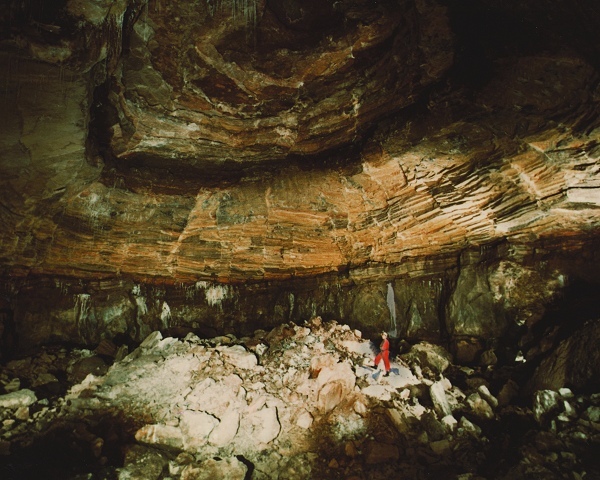 Later research has studied all kinds of smaller energetic events on the earth's surface: truck bombs, a Russian submarine explosion, the 1995 Oklahoma City bombing and a mine collapse in Utah. As these punch the ground, they send out seismic waves that are recorded by seismometers. Today forensic seismologists have a good handle on two kinds of explosions: those deep underground and those at or above the ground. Nuclear tests are deep or "fully contained" blasts, with their energy efficiently converted into earthquake vibrations. Things like airplane crashes, railcar explosions, truck bombs and industrial accidents are surface or "uncontained" blasts. The physics is different in these two cases, but it's well understood. That leaves out the category of partly contained events—shallow explosions. These are events, like excavation blasts or sabotage explosions, that break the ground and spill energy into the air as audible sound and moving rubble. This "free surface effect" complicates attempts to measure the explosion's energy, or yield. "A yield estimate is often very important to investigators and governmental agencies seeking to understand the precise cause of an explosion," Pasyanos says. 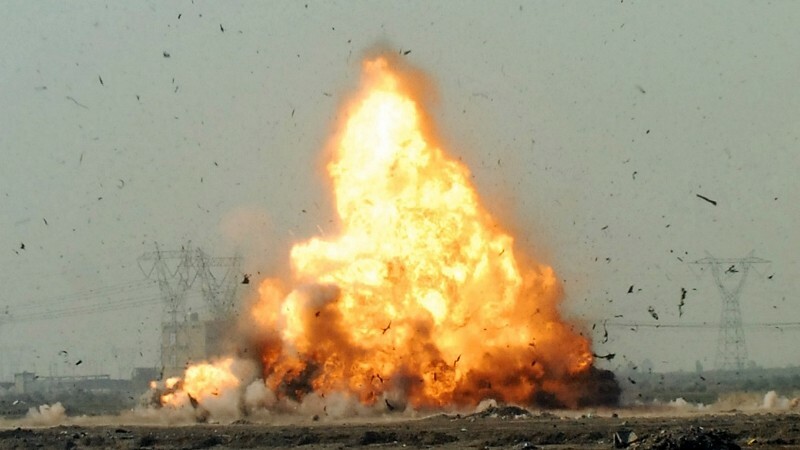 As a first step in understanding shallow explosions, Pasyanos and Ford adapted a measuring method that Pasyanos had recently created for fully contained explosions. It employs seismic vibrations of many different frequencies, yielding sophisticated results that can be matched to a specific yield and depth. That method became weak for explosions close to the ground, because it could not estimate yield and depth separately. Pasyanos and Ford got around that "yield-depth trade-off" by incorporating detailed information about the local ground, including its geology and how seismic waves behave in it. Other information, like acoustic data and news reports, can also help reduce the uncertainties in the method. 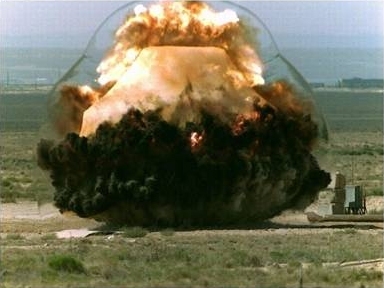 Pasyanos and Ford used a set of experimental explosions at White Sands Missile Range in 2012, named Humming Roadrunner, to calibrate their method. One of these detonations involved 20 tons of explosives buried in a tunnel. Pasyanos saw an opportunity to test the new tool when he watched news footage of a Syrian explosion on May 14, 2014. Rebels had dug a tunnel beneath a Syrian armed forces base and claimed they set off 60 tons of explosives. The detonation broke the ground open and sent debris high into the air, a clear sign of a partly contained event. "I can model this," Pasyanos thought. The explosion had been recorded by seismometers in Turkey. The geologic map of Syria showed the area had a rocky surface. After examining the video and entering all their data into the new tool, Pasyanos and Ford estimated a range of yields between 6 and 50 tons, depending on the explosion's depth. Assuming the explosives had been placed two meters deep, their best estimate was 40 tons. The discrepancy between 40 and 60 tons could arise from many reasons. On the rebels' side, they may have exaggerated, their explosives may have been inferior, or the material didn't completely detonate. On the researchers' side, there were uncertainties in the geology and the various moving parts of their mathematical model. But on the whole, Pasyanos and Ford write, "our estimate for the yield appears reasonable." The two researchers are optimistic that their new method will be easy to improve. As explosions of all kinds continue, forensic seismologists around the world are ready for better tools like this.